It's Oktoberfest in Pittsburgh, and brewpub owner Maxine "Max" O'Hara is prepping for a busy month at the Allegheny Brew House. To create the perfect atmosphere for the boozy celebration, Max hires an oompah band. But when one of the members from the band turns up dead, it's up to Max to solve the murder before the festivities are ruined. Adding to the brewing trouble, Candy, Max's friend, is acting suspicious... Secrets from her past are fermenting under the surface, and Max must uncover the truth to prove her friend's innocence. To make matters worse, Jake's snooty ex-fiancée shows up in town for an art gallery opening, and she'll be nothing but a barrel of trouble for Max. Well, I really enjoy reading this series, even though I have only read one other in the series. The setting is a little different, as it takes place in Pittsburgh, PA, and a brew house. I am also not a Pittsburgh fan and one character is die hard Pittsburgh and only wears blank and gold, but she is a really interesting character and the story centers around her being accused of murder. Max is the main character, and Candy is her good friend so, of course, Max has to get involved. I thought the writing was superb and the plot was well thought out. I enjoyed the interaction between the characters, you could tell that they cared about each other. I was left guessing until the very end, which is what I love in a cozy. I look forward to more in this series. Joyce Tremel was a police secretary for ten years and more than once envisioned the demise of certain co-workers, but settled on writing as a way to keep herself out of jail. 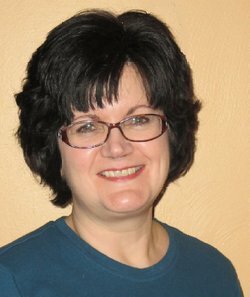 She is a native Pittsburgher and lives in a suburb of the city with her husband. 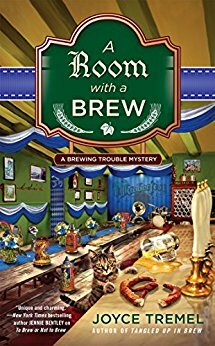 Her debut mystery, To Brew Or Not To Brew was nominated for the 2015 Reviewers' Choice award for Best Amateur Sleuth by RT Book Reviews. The second book in the series, Tangled Up In Brew was released in October 2016 and chosen as a "Top Pick" by RT Book Reviews. It was the winner of the 2016 Reviewers' Choice Award for Best Amateur Sleuth. It was also named one of the Best Books of 2016 by Kings River Life Magazine.